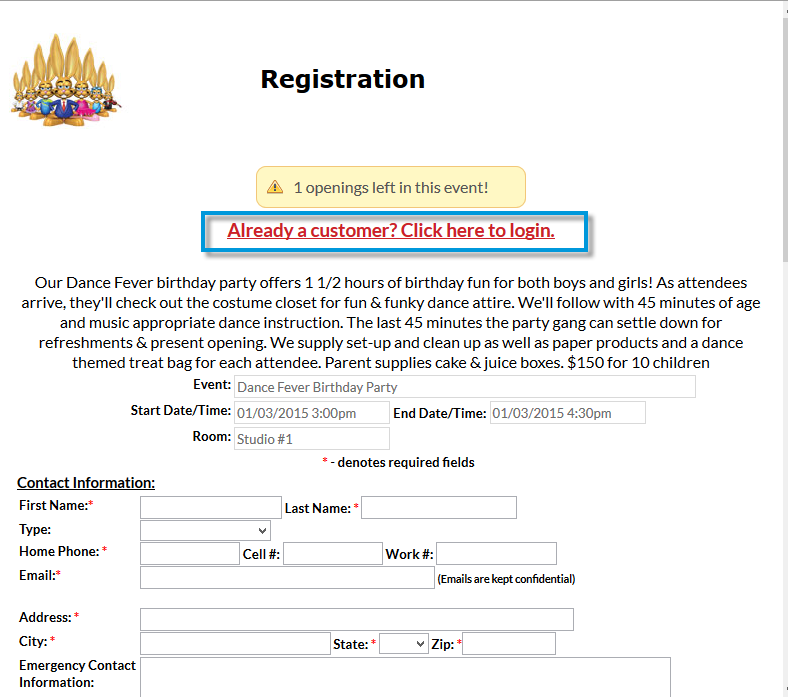 If your organization has given existing families the ability to register for events in their Parent Portal (Tools > Parent Portal > Settings tab, Event Registration), and the existing customer tries to register from the event calendar on your website (instead of in their portal), the Event Registration form will contain a red link directing the customer to use the portal instead. If the customer ignores the link, and proceeds to fill out the form as a new customer, the form will still be submitted and a duplicate family record will be created. See our article Prevent Duplication of Family Accounts with Online Event Registration for full details.